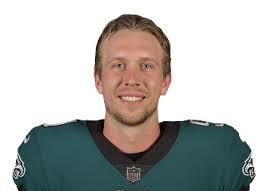 PHILADELPHIA (AP) — Nick Foles will start for the Philadelphia Eagles against the Tampa Buccaneers on Sunday, September 16. Coach Doug Pederson says Wentz still hasn’t been medically cleared to play. Wentz had surgery to repair a torn ACL and LCL last Dec. 13.